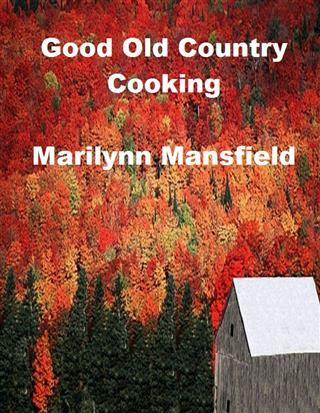 At home in middle America, Marilynn Mansfield is a prolific author, preferring romance, science fiction and cookbooks as her main topics. If she's not cooking it up in the kitchen, she enjoys cooking up terrific books on her keyboard. Marilynn enjoys the fine arts, good music and great reading in her leisure time. mankind are all caused by you. Country cooking at its finest. For all the cookie lovers. This cookbook has all your favorites. Imagine awakening in a strange world and a stranger time...then imagine the losses sustained by mankind are all caused by you. That's the dilemma facing Holly Reed. Only one man can save her while only she can save the future. Together they prove that love can overcome all obstacles...including time itself. Everyone needs a change of destiny. For Holly Reed that simple statement held a lifetime full of hope, but now with death so close, her hope had almost died. Yet, years into the future one man was bent on repaying an act of selflessness, and for Holly Reed that meant new life. When Brock Dylon time traveled into her life, Holly didn't really know just what she was getting into. The choice she had to make was simple, life or death. Yet for her, the choice of life had one major string attached. Could she go back to her time and leave behind the man that she had come to care so much for? All his life Brock had heard the story of the woman who had saved his dad's life, and now he had the chance to repay that kindness. But as he watched her heal, Brock discovered that his act had a major string attached. Could he let her go, now that he had found her? For both Brock and Holly, a change of destiny, marked the beginning of a new life  if only they could stop time. In "A Change of Destiny," Marilynn Mansfield has written a truly unique story, dealing with an age old question. Given the chance, would you change destiny? 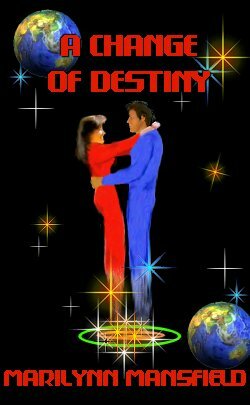 Marilynn Mansfield's destiny is already set with the success of this book. I look forward to reading more from this talented and thought provoking author.